2016 Market Recap - Record year!!! While winter is in full effect, often this is a time to reflect on the past year in the real estate market. Here’s what we learned. 2016 WAS A RECORD YEAR!!! 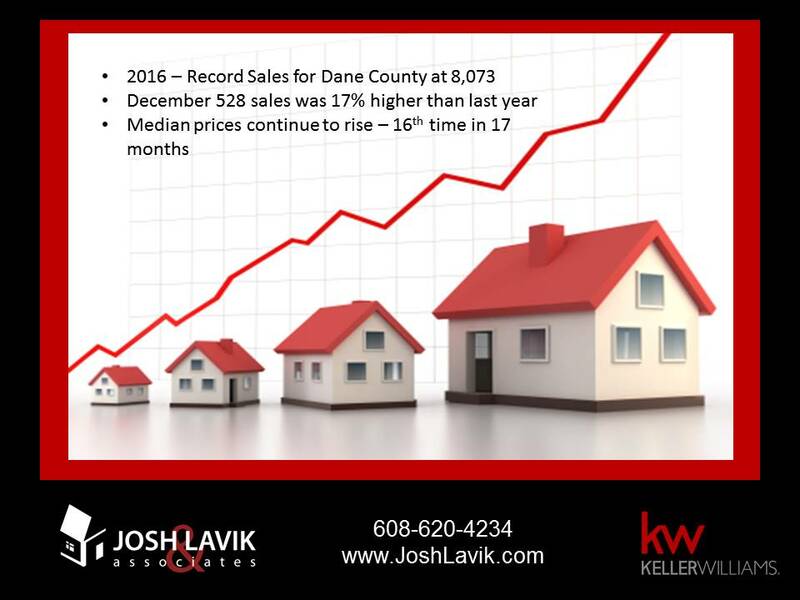 Dane county sales for 2016 (single family and condos) were at an ALL TIME HIGH with 8073 sales and median sale price was also at an ALL TIME HIGH OF $245,000. 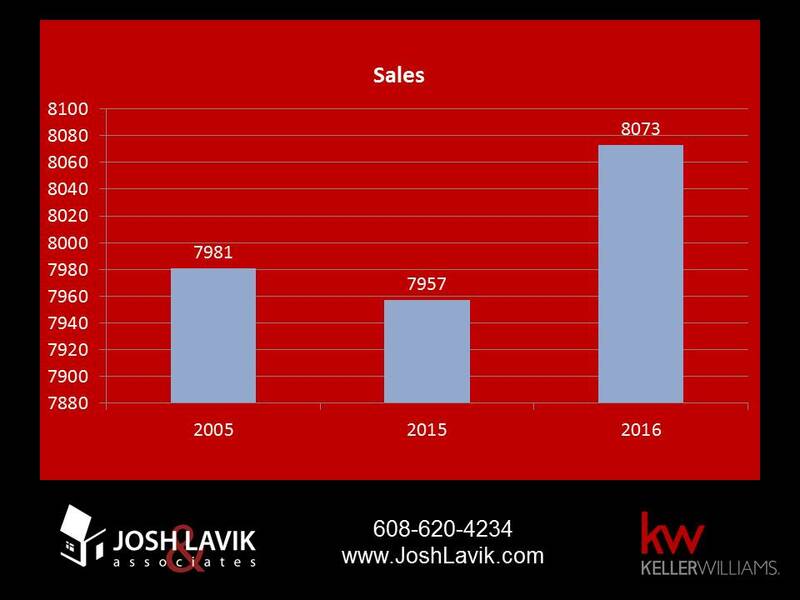 For comparison, 2005 was the last peak at 7,981 sales for the year, and 2015 was 7,957 sales. 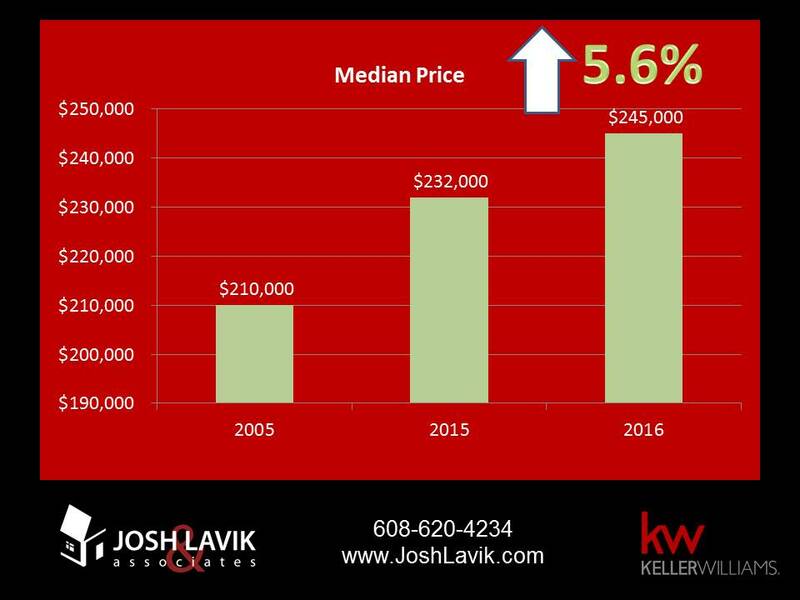 Median sale price has been on the rise, up 5.6% from 2015 ($232,000), and up 16.6% from 2005 ($210,000); all good things for current home owners. Another noteworthy thing is the continued decline in available inventory for homes. 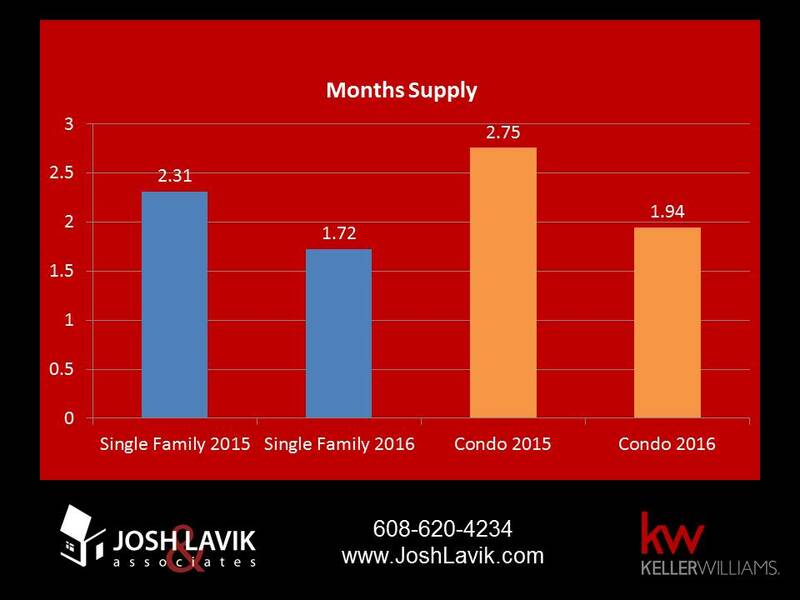 As you can see we are now under 2 months of inventory for both single family and condominiums. Want to talk more about the specific market around your home? Give us a call or send us a message. We’d be happy to share our thoughts about the why behind it and predictions for the future. If you’re thinking of moving (selling) this spring or summer, then we really should start conversations now to properly prepare your home and maximize your equity.